“Don’t you have any better color to apply on your nails?” This is what my friends asked me when I wore this orange nail paint on my nails. I simply rolled my eyes and said you won’t understand. I find orange shade perfect color for summers. 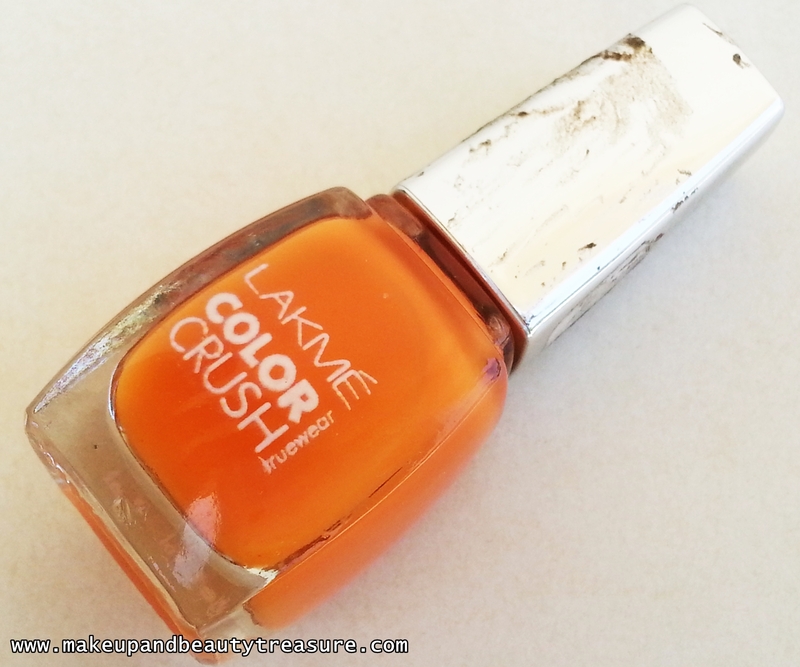 Today I am going to discuss my experience with Lakme Color Crush Shade no 07. Drench your nails in funky color with this vibrant and vivid range that's destined to make your nails as bright as your day. 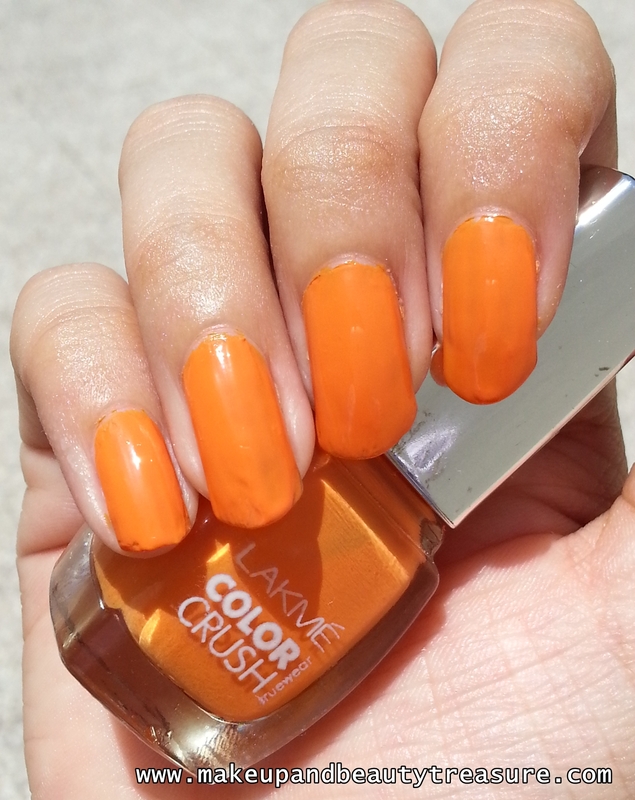 Lakme Color Crush Nail Enamel comes in a sturdy, clear glass bottle with a silver chrome finish screw top lid. The lid enables a perfect grip when applying to the nails. The brush of the nail enamel is normal and applies smoothly without brushing along my skin. The bristles of the brush are soft and pick decent amount of nail paint. The packaging is quite simple and understated. The nail paint doesn't have an overly scent unlike few others. The shade number is mentioned at the top of the lid with no shade name. The nail paint has decent consistency which is neither very thick nor very thin. It glides on easily and applies smoothly without being streaky. The color payoff is pretty decent with one coat and looks exactly the same in the bottle. I have the habit of applying two coats and I find it gives more depth to the color. The nail paint dries off rather quickly and provides a creamy, glossy finish. It lasts for a good 4-5 days with a top coat on my nails before showing signs of wear and chip (I don’t do any household chores!). It retains shine even after few days of application and doesn't look dull unlike few other glossy polishes. 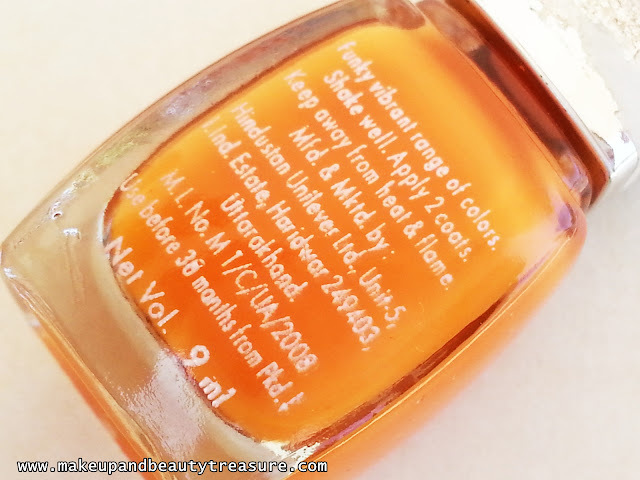 It is easy to remove and doesn't stain my nails despite being a dark shade (I always apply a base coat underneath whilst applying dark colors!). 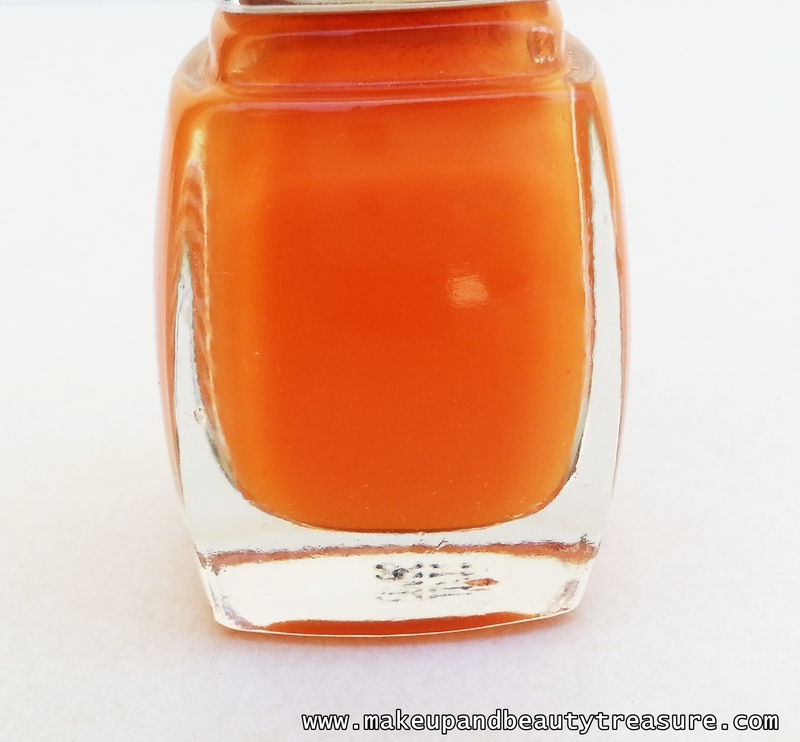 Shade '07' is a bright orange color with a creamy and glossy finish. It does not have any sign of glitter or metallic hues to it. As the shade is quite bright and tangy, it is not suitable for office wear. It would look flattering on fair to medium skin tones. It is a perfect shade for summers and especially for doing nail arts. • Applies smoothly without being streaky. • Brush is of a fairly good size and has soft bristles. • Goes opaque in two coats. • Doesn't stain your nails. • Shade no 7 would look good on fair to medium skin tones. • Wide range of shades available. • The shades have no names. I would have named it ‘Oh My Orange’. • Lakme is increasing its price like hell. Overall I am quite happy with this nail paint and will love to buy few more shades from color crush collection. The nail paint applies easily without being streaky and gives a good color payoff with two coats. It dries off to a creamy and glossy finish and the glossiness doesn’t fade for a long time. 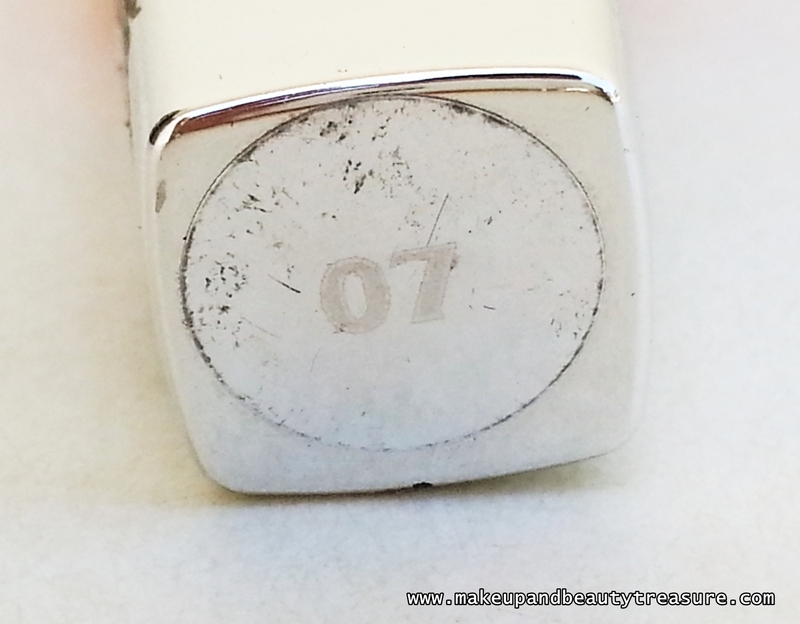 The shade no 07 is a bright orange shade and would look flattering on fair to medium skin tones. I like doing nail arts with this shade. I shall definitely recommend it to fair to medium skin tones. Have you tried Lakme Color Crush Nail Polishes? How was your experience? Share in the comments section below! Thanx dear. Nope it dries rather quickly! my mom complains when i wear any bright shades :P its just nail polish right? ;) great shade for summer meghz! wish i had every shade in the rainbow in nail polishes! Me too like to try all colors!!! I love that colour <# It's so livid....Beautiful review Megh! I so wish i could live nearby u n gift u from my vanity!!! When r u showing me ur vanity??? Whoa now i want to see ur treasure!!!! Nice and cute orange color.. perfect for summers :D Looks pretty on ur nails!!! Great post I like your blog. Maybe you can visit my blog and follow me. Yeah will publish it but am not satisfied with it.